Meal at one of Playhouse Square’s premier restaurants is included…. Hear from local news publishers and TV / digital news directors about how a rapidly changing media landscape has posed new challenges and triggered creative solutions in providing 24/7 news and information on multiple platforms. How have technology, consumer habits and social listening changed local news and storytelling? How important are things like building the right team, leadership and brand? Bring your questions! 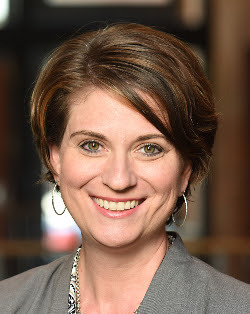 Denise Polverine is the Director of Digital at WKYC and Regional Digital Director at WKYC’s parent company, TEGNA, overseeing and working with eight other TEGNA stations on creative digital strategies. 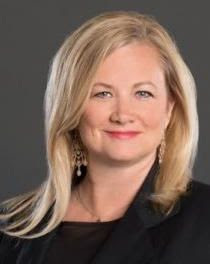 Denise also serves on a four-member Sports Leadership Team at TEGNA, strategizing on innovative ways to tell stories and capture the passion and conversation associated with professional, college and high school sports. Prior to WKYC, Denise was the Editor-in-Chief and Director-Digital Operations at cleveland.com for 17 years. In her role at cleveland.com, she worked closely with The Plain Dealer and Sun News to transition from focusing solely on distributing content in print, to telling stories and engaging on digital and social platforms and making news a two-way conversation. Denise is on the board of the Press Club of Cleveland and Boys and Girls Clubs of Cleveland. She was inducted into the Press Club of Cleveland Hall of Fame this past November as the organization’s first digital pioneer. George Rodrigue became editor of Plain Dealer Publishing Co.in January 2015. He added General Manager to his title in June, 2016 and was named President & Editor in February 2017. Before that, he served for 10 years as managing editor of The Dallas Morning News. He also led the Washington Bureau of Belo Corp., serving three newspapers and 17 television stations, and was executive editor of The Press-Enterprise in Riverside, California. 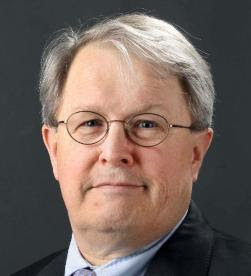 Prior to that, he worked for The Dallas Morning News as a Washington correspondent, a foreign correspondent, a special projects reporter, and as a city hall reporter. He won Pulitzer Prizes for national and for international reporting. He’s a native of Boston, holds a bachelor's degree in history from the University of Virginia, and studied law and economics on a Nieman Fellowship at Harvard University. Elizabeth McIntyre is publisher and editor of Crain’s Cleveland Business. A graduate of Bowling Green State University, she spent 20 years at The Plain Dealer, starting as a copy editor in 1990. Over the next two decades, she took on added responsibilities in the newsroom. She served as graphics and design editor and assistant managing editor before being named deputy managing editor in 2007. In that role, McIntyre directed the news operations of the Metro, Business, Sports and Features departments. She left The Plain Dealer in 2010 and joined the Cleveland Foundation as a public relations officer. She was named editor of Crain’s Cleveland Business in 2014 and took on the dual role of publisher and editor in 2016. The nationally award-winning journalist was named best business columnist in Ohio in 2017 and 2018 by the Press Club of Cleveland. Elizabeth started her career as a copy editor at The Morning Journal in Lorain. The Youngstown native is married to Plain Dealer columnist Mike McIntyre, who also hosts “The Sound of Ideas” on 90.3 WCPN in Cleveland. She and Mike were inducted into the Press Club of Cleveland Hall of Fame in 2016. 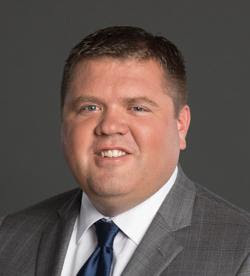 Jonathan Adkins is the News Content Director at WKYC in Cleveland, Ohio, leading the day-to-day newsroom editorial coverage and operations.Adkins was named News Content Director at WKYC-TV, TEGNA’s NBC affiliate, in August 2018. 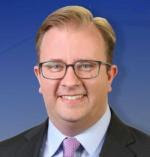 He has worked at the station since December of 2007 serving in roles as the station’s Assistant News Director, Managing Editor and Executive Producer of several shows and special projects. During his time at the station his work has been recognized with several regional Emmy and Murrow awards, as well as other honors. Prior to joining TEGNA, Adkins served as a senior producer for Cleveland’s WJW Fox affiliate. He began his career as a producer for NBC’s WHEC-TV in Rochester, New York. Adkins is a graduate of Mansfield University in Mansfield, PA.
Andy Fishman is Vice President/News Director of WJW TV/Fox 8. Born and raised in Northeast Ohio, Andy is a graduate of Orange High School and Ohio University. He has worked at Fox 8 for 25 years as an Executive Producer, Assistant News Director and News Director. Andy previously spent nine years at WEWS as an Associate Producer, Producer and Executive Producer. He is the recipient of several awards including 19 local and regional Emmy awards. He lives with his wife and two children in Solon. 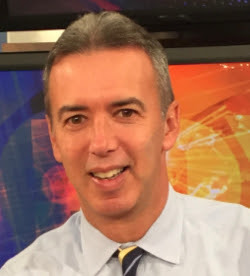 Sean McGarvy is the News Director at WEWS-TV. Prior to Cleveland, Sean has worked in Denver, Indianapolis and Washington DC. While in Denver, Sean helped launch the "360" franchise brand seeking to redefine storytlling on major issues affecting the audience. In Indianapolis Sean helped lauch the new CBS affiliate WTTV in coordination with the Fox duopoly station WXIN. And in DC Sean oversaw the broadcast production of 3 Presidential Inaugurations on both the local and network levels. Sean is a former president of the NATAS Chapter in DC and a former Board Member of the Radio Television Digital News Association. Ian Rubin has been News Director for WOIO-WUAB for roughly a year. Prior to his arrival in the CLE, he served as News Director for WNEM in Flint Michigan for more than 13 years. 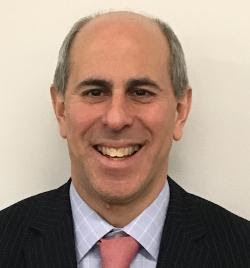 He has also served in leadership capacities in Massachusetts, Connecticut, Dayton OH and New York where he grew up. He is a graduate from the Masters in Journalism program at Northwestern University.